The iconic Normandie Hotel, which opened in 1942, is in need of a major overhaul. 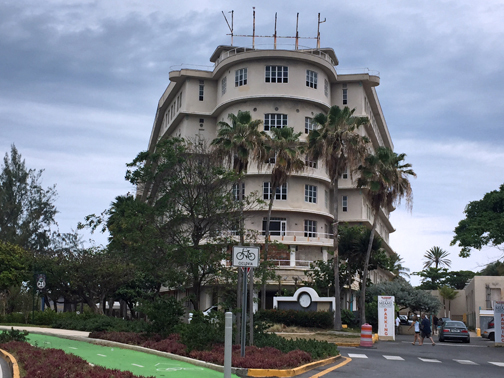 The iconic Normandie Hotel, located at the entrance of the San Juan islet, needs an investment of some $20 million to be brought back to its former glory, Tourism Co. Executive Director José Izquierdo said during confirmation hearings on Tuesday. The hotel, which is up for sale for some $9 million, has structural problems that have developed since being abandoned in 2009 by its former owners. The hotel, inspired by a French Navy steamboat, opened in 1942 and was declared a national historic site in August 1980. While the property’s owners Interra-Sky Normandie sell it, Izquierdo said there is a viable option in using the hotel grounds for private activities, while developing the area’s tourism and economic sectors. “The former Normandie Hotel has many challenges and no one more than myself would like to be part of a ribbon cutting where we announce that it has been renovated, marking the revival of this landmark property,” Izquierdo said. “I’m not denying that there has been a lot of interest because there is an option to buy that property, but engineers can guide me better. 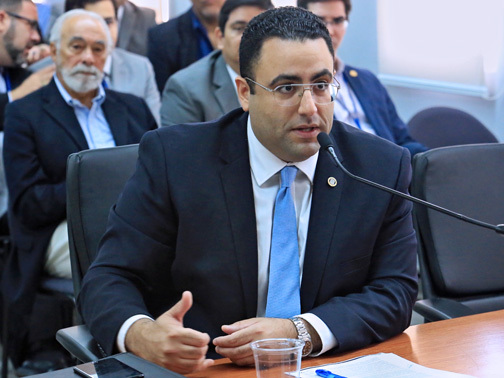 The hotel has some structural problems that involve a cash injection just to stabilize it and it is estimated at $20 million,” Izquierdo said. “We also have the situation that many of the rooms respond to the desire of tourists in earlier times: they were smaller with a small bathroom. Now, the tourist doesn’t care so much about large room but needs a spacious bathroom with a smooth bathtub,” he said. During his confirmation hearing, Izquierdo said “there is a challenge that requires creativity,” to build around the hotel and reassigning the structure for a different use, like for group meetings or another way in which its integrity is preserved, while maximizing its use. “The lot is very attractive and we must continue to develop it, so any plan that the Normandie designs has to address the reality that there is room for growth,” said Izquierdo. The Normandie Hotel was put on the block in August 2016 and a transaction for the 97,000 square-foot property is still pending. The toughest time for room tax collection was when the Zika virus spread in Puerto Rico last year, which caused cancellations of major international sporting events and conventions. As a result, all of the agreements the agency is signing for these types of events will be expanded to three years, to give organizers the certainty that they can count on the government, and vice versa, Izquierdo said. He anticipated that many of the events that were canceled would be held this year. The designee said the Tourism Company has set aside $250,000 for an “aggressive” internal tourism campaign to motivate locals who have held off from traveling during the economic downturn to participate in local visits. Izquierdo seems to be a shoe-in for the post, as several lawmakers said Tuesday they will vote in favor of his nomination. Hey Buddy!, I found this information for you: "Tourism Co: Normandie Hotel needs M in repairs". Here is the website link: https://newsismybusiness.com/tourism-normandie-repairs/. Thank you.